A trio of high school seniors stumble upon a strange underground object and shortly after coming in contact with it, they each develop telekinetic powers. While the plot sounds like something out of a 1950�s �B� movie, �Chronicle� plays it straight and earnestly � leveraging hand-held movie cams (think �Blair Witch Project� or �Cloverfield�) to amazingly great effect in this 83 minute film. Newcomer, Dane DaHaan, appears as Andrew Detmer, a somewhat dorky and reclusive teen who has a terminally ill Mom and an abusive Dad. As we meet him, he�s taken to recording the events around him with a video camera. His cousin, Matt Garetty (Alex Russell) works to get Andrew to loosen up and be part of the good times of their senior year. Also thrown into this mix is Steve Montgomery (Michael B. Jordan), a high school standout who happens to have a slightly rebellious streak. Director Josh Trank gives us what initially looks like a low-budget thriller, but turns out to be a deft filmmaking gimmick that adds to the wow factor. As the boys develop their newfound powers, the film begins to slowly ratchet up the special effects. Shot through the format of a handy-cam, the special effects pack more punch than you�d imagine. While not simply a collection of cinematic sleight-of-hand surprises, �Chronicle� explores Andrew�s dark and pessimistic personality, which comes from constantly being bullied and harassed at every turn. Gaining such powers doesn�t provide the sort of answers one would expect and we can only watch as things spin out of control. 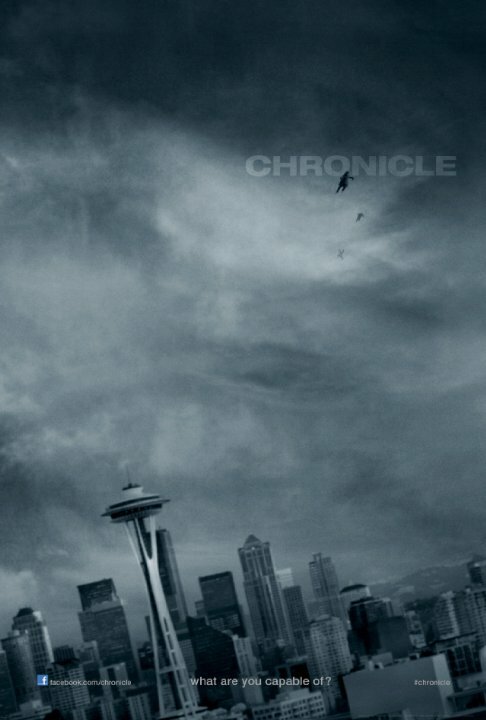 While probably not Oscar material, I have to give �Chronicle� credit for taking an interesting film premise and seeing it through to the end in an effort that is well planned out and uses some clever devices along the way to maintain that up close and personal experience. Sure there are hints of �The Invisible Man� and �Carrie� (to name a couple examples), but the results are distinctive enough for this film to stand on it�s own. If you are looking for movie entertainment that is unique and somewhat unpredictable, you should jump at the chance to see this!